This wasn't planned but hopefully it would stimulate some discussion. That and I sort of regret excluding it from the Opera update. 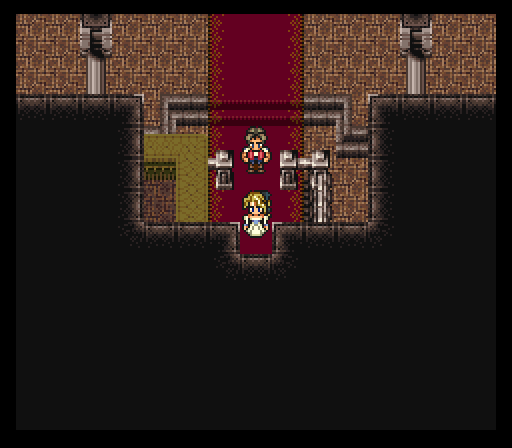 I decided it was worth using the Game Genie to Walk through Walls Opera Celes to the field and see what happens. 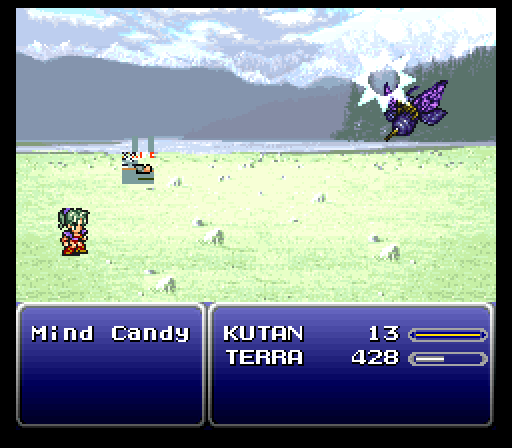 Opera Celes "Kutan" seems to not even load at all on the battlefield. This is weird. I was expecting a huge glitchy mess. Even when attacking there's nothing to display. Coming in dead, it's a different story. Use a phoenix down, bam. Gigantic mess of pixels. 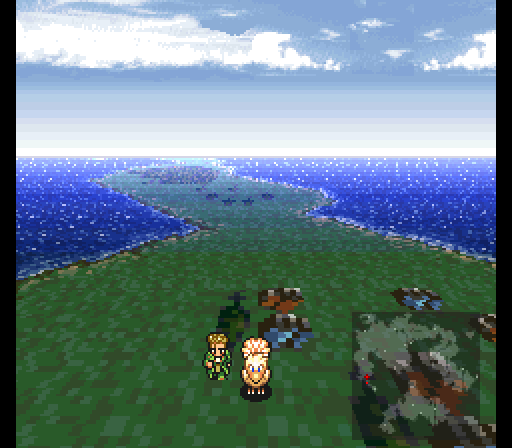 The game when it doesn't have a sprite to load tends to go completely haywire. 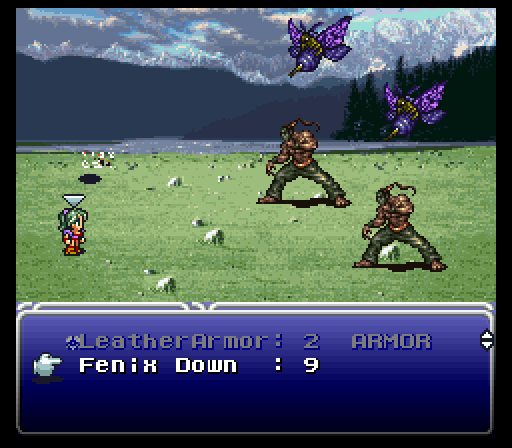 While field sprites like Banon on a chocobo seem to load sprites that are actually recognizeable, battle sprites that aren't defined just load up random pixel garbage. The general rule when the game doesn't know what to do isn't "Abort!" it's "Eh, whatever, just load it anyways". I'll go into this more later when it becomes relevant but it'll be a long way of saying "when there's no sprite to load, the game loads garbage". 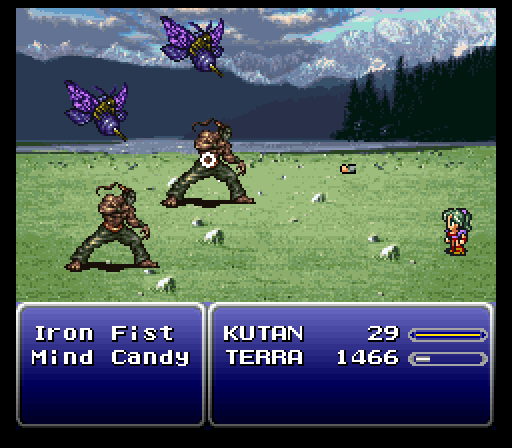 Though, less garbage than battle sprites. 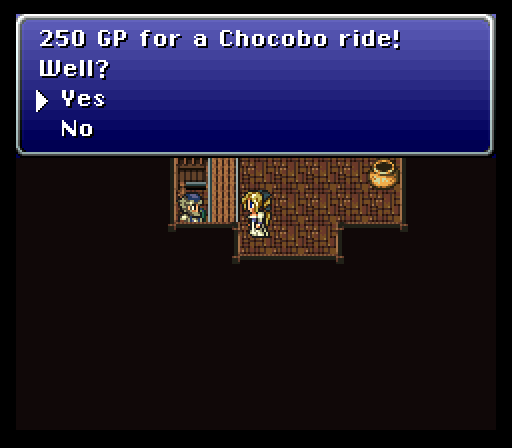 Ah, chocobos. The beginner's guide to breaking sprites. 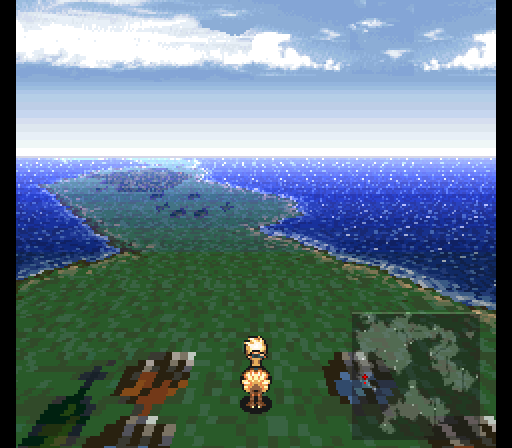 Chocobo sprites are different from Field sprites, and non-standard characters usually don't have any. They instead just load from more garbage locations. 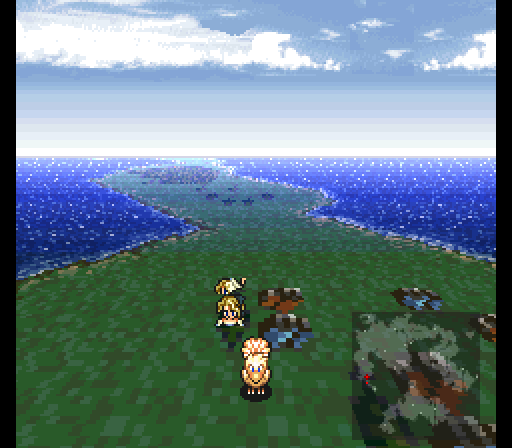 When riding a Chocobo, it's often straight-up garbage, but usually less than when battle sprites try to be read. You'll see this more later. Opera Celes loads.... this. I have no idea what the hell it is. 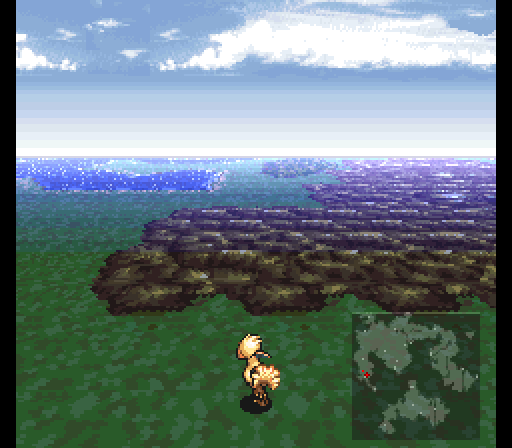 It's hard to see, but at the bottom of the chocobo it looks like the top of Shadow's head. It's hard to tell. 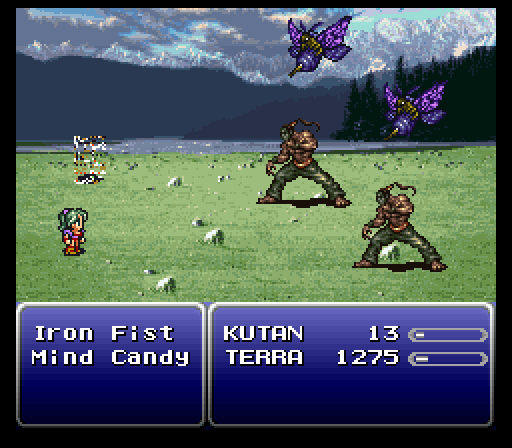 There are game genie codes to permanently turn Opera Celes into the playable character, but without hacking the game there's no way to not make her a glitchy pixelated mess.